Closest train stations are Town Hall or St James Station, and closest bus stops are Elizabeth Street, Castlereagh Street and Queen Victoria Building interchange. There are four fantastic parking specials available for restaurant guests. Please refer to FAQ section for details. Please arrive 15 minutes prior to the booked dinning time. If you experience any unexpected delays, please contact the restaurant to amend your reservation time (subject to availability). 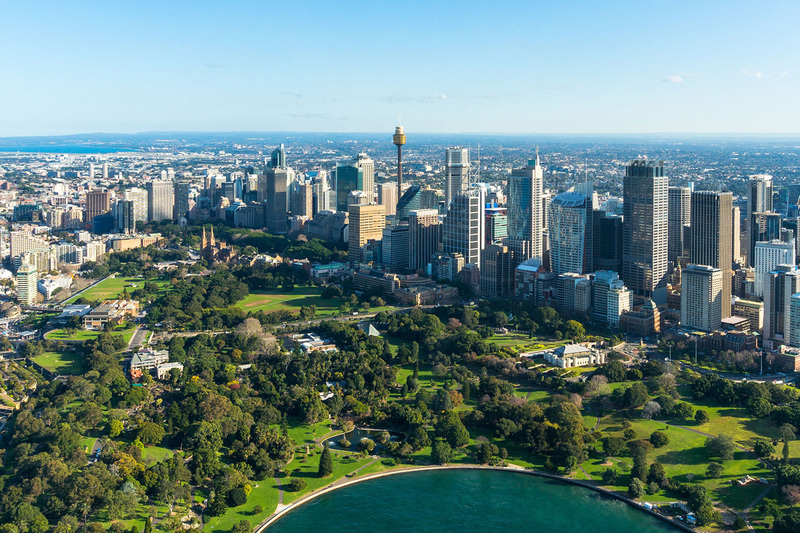 ● Please be advised that food prepared in Sydney Tower Buffet kitchens may contain or have been in contact with milk, eggs, wheat, soybeans, nuts, seeds, fish and shellfish. If you have any specific dietary requirements please inform our staff during booking and upon arrival. We will endeavour to accommodate your dietary requests, however we cannot guarantee all dishes are entirely allergen free. ● Customers who want to be seated on the same table must have the same options booked. For example, customers who booked Meal Only cannot be seated with those who booked Meal with Soft Drinks option. Sydney Tower Buffet is the contemporary self-select restaurant in Sydney Tower Dining. Offering an extensive banquet-style dining experience with a wide variety of international dishes including fresh seafood, salads, hot dishes and desserts. 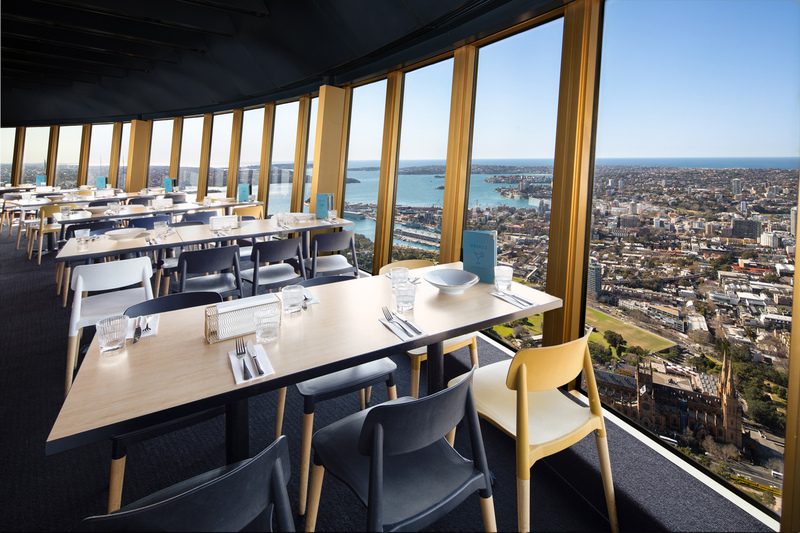 Sydney Tower Buffet offers uninterrupted revolving views of the city and provides the perfect relaxed dining environment for locals and visitors alike. Sydney Tower Buffet is a revolving restaurant with uninterrupted views overlooking Sydney Harbour, across the city and beyond. One rotation generally takes 80 minutes. 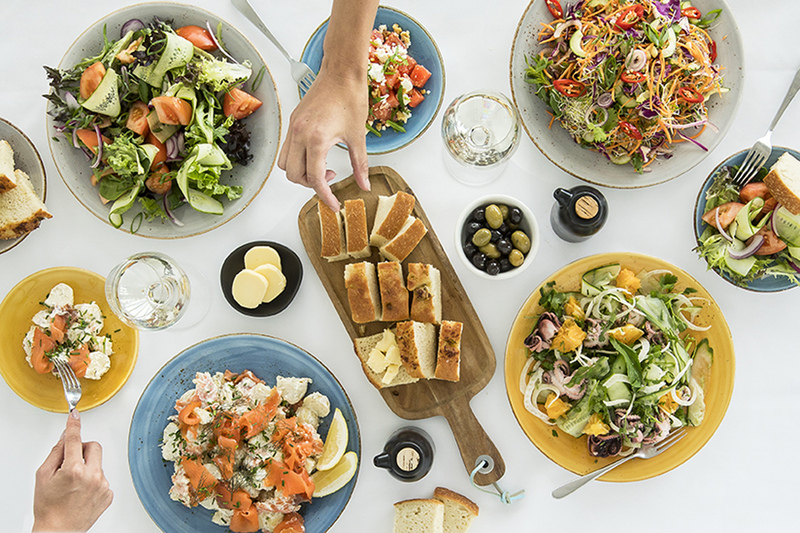 With over 55 gourmet dishes prepared daily across a range of cuisines including Modern Australian, Italian, Vietnamese, Chinese, Japanese and more, choose from a large selection of fresh seafood, salads, hot dishes and desserts on offer at Sydney Tower Buffet. 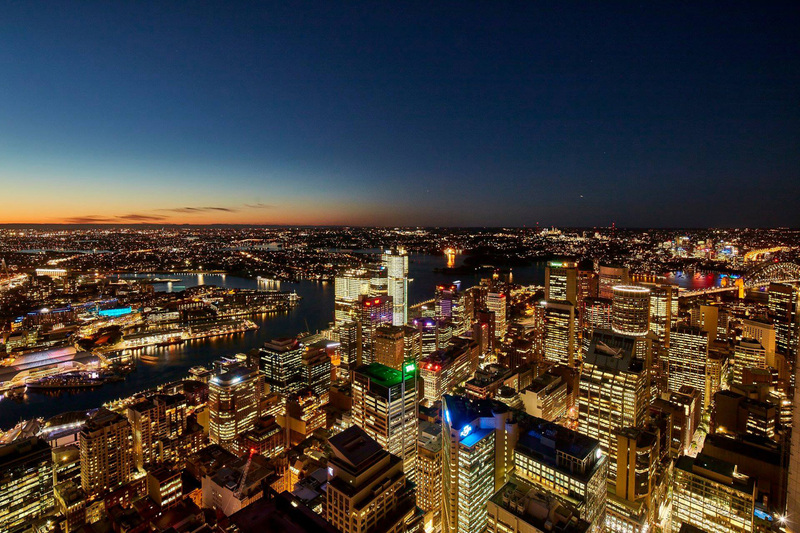 Sydney Tower Buffet offers a sky high feast of 55 gourmet dishes, 85 storeys above the city with 360 revolving views of Sydney. Sydney Tower Buffet Restaurant is open Lunch and Dinner, 7 days all year round. Booking times from 11:30 – 14:00 then 17:00 – 21:00. If you cancel at least 7 day(s) in advance of the scheduled departure, there is no cancellation fee. If you cancel between 0 and 6 day(s) in advance of the scheduled departure, there is a 100 percent cancellation fee. If no show, no refund. Can I request a window seat? Every table has uninterrupted beautiful views of the city, therefore we do not accept seating requests. Does Sydney Tower Buffet revolve? Yes, Sydney Tower Buffet is a revolving restaurant with uninterrupted views overlooking Sydney Harbour, across the city and beyond. One rotation generally takes 80 minutes. Is Sydney Tower Buffet open during public holidays? Yes, Sydney Tower Buffet is open for all public holidays. Special pricing applies. Where can I park or where is the nearest parking station? 1) Westfield Parking - $10 Flat Fee! Mon-Wed 6pm-10:00pm, Thurs-Sun 6pm-11.30pm. Parking Entrance: 135 King Street, Sydney. Please note Westfield parking is on the left hand side at the end of the ramp. Upon arrival at the car park, please inform Westfield valet that you are a Sydney Tower Dining guest to validate parking. There is also the option to pre-pay your parking downstairs with Westfield valet. 1) Please provide your parking ticket to the Sydney Tower Dining Reception staff (or Westfield valet if parking at Westfield Sydney) upon arrival and your ticket will be validated. 2) Failure to validate your ticket will mean that you are required to pay the full hourly rate upon departure from the parking station. 3) Please note that we are able to validate ONLY the Wilson Parking addresses indicated above. All other Wilson Parking Garages will charge their regular hourly fee. Is the ticket included the observation desk? No , Sydney Tower Restaurant is not included the entry ticket of observation desk.